This website, curated by Lon Roach of Glencoe, Minnesota, documents the career of his parents, John (Jack) and Mabel Roach. Jack was a square dance caller from 1949 to 1974; his career spanned the transition period from traditional to modern square dancing. The page "How Did Jack Learn To Call?" 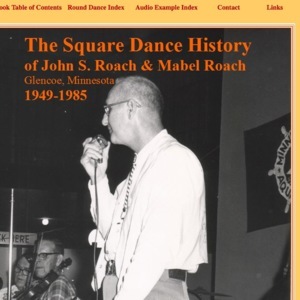 deals with the history of square and contra dancing in Minnesota and includes a photographic display of square dance record album cover art. The site includes audio files of Jack calling several complete patter and singing squares, recorded from 1956 through 1967. The early files show him using "hashed" versions of traditional figures. Even in the later recordings, he retains a lot of traditional feel in his delivery. 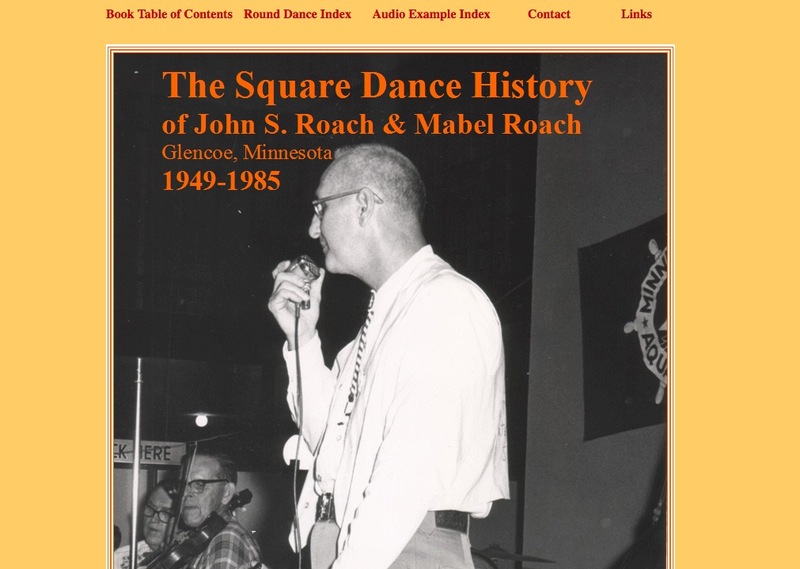 Lon Roach, “John Roach Square Dance History - Minnesota,” Square Dance History Project, accessed April 24, 2019, http://squaredancehistory.com/items/show/734.